I’ve been running half marathons since way before they became popular. Shorter and more manageable than a full marathon, ‘halves’ are everywhere! 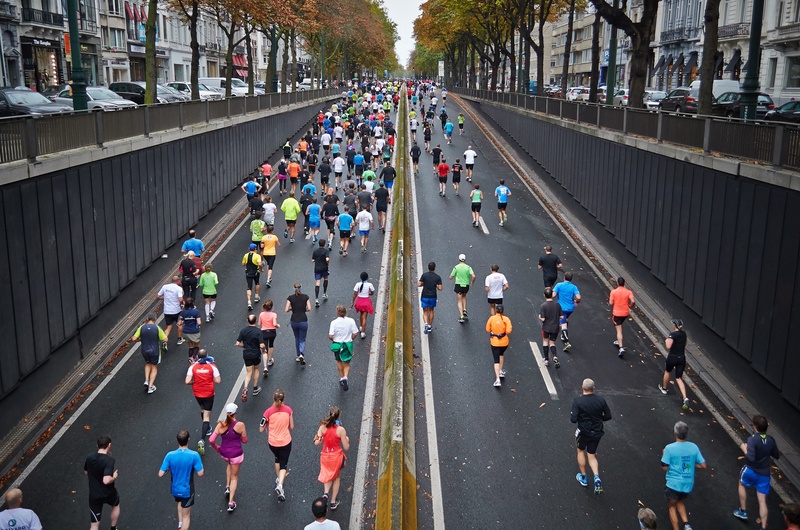 Before you lace up those shoes and pin on your number bib, here are some things I’ve learned — the hard way — that will help you have a successful race day. I can’t tell you how many times I’ve looked at the calendar and wished I had a few more weeks to train! As soon as you know the date of your run, start training at least 12 weeks before that date. You’ll be thankful later. Go to your local running store and have someone properly fit you for shoes. It’s probably your biggest investment and makes the biggest difference in terms of how you feel and how well you can stay injury-free — trust me! My husband races in the latest high-tech stuff available from head to toe, but he is most proud of his GPS. He knows his mileage for every run down to the hundredth of a mile. Me? I couldn’t care less. When training, I calculate my miles by time — 30 minutes is about three miles at my pace. So when I need to run 11 miles, I go out for roughly 1 hour 50 minutes. It’s not perfect, but it works for me. Make sure you do at least one long run with everything you are planning to wear on the big day. You don’t want any surprises or mishaps around mile 8 that leave you blistered or chafed to the point of having to drop out. Ditto for any energy drinks or supplements! Make sure it doesn’t upset your tummy and leave you dealing with it in some nasty porta potty before the finish line! I use to get so wigged out before a race that I couldn’t sleep. Now, I treat it like a training run. Sure, when I’m lined up with 40,000 other runners at the starting line, I start to get a few butterflies — who wouldn’t? But I try to just stay relaxed. I know that I’m not going to be first in the Chicago Half Marathon — or any other big city half marathon for that matter. A small city with 200 runners, sure — if I’m lucky. That doesn’t mean I don’t try hard in the bigger runs — I do. I’m also realistic and know there are a lot of other runners there who are faster than me and that’s OK.
A good rule of thumb is to dress as if the temperature is 20 degrees warmer than it is. This can be tough to do on those early chilly mornings — brrrrr! So wear a warm shirt or jacket that you can donate — translation: take off and throw on the side of the road — once you’ve warmed up. My husband and I have fun going to the Salvation Army before the colder races to see who can find the ugliest long sleeve T-shirt to start the race in! Yes, everyone wants to get out there and get a personal best, but make sure you have some fun while doing it. A few years ago, I started asking runners who were “running for a cause” about how they got involved. Everyone from the Chicago fireman in full gear (seriously, he even had an oxygen tank!!) to those wearing T-shirts with pictures of someone they are raising money for — they all have a story to tell and they love to tell it! Taking the time to talk to them makes me realize how many good people there are in this world and that we’re all in it to the finish line!